How does CNC Milling Work? 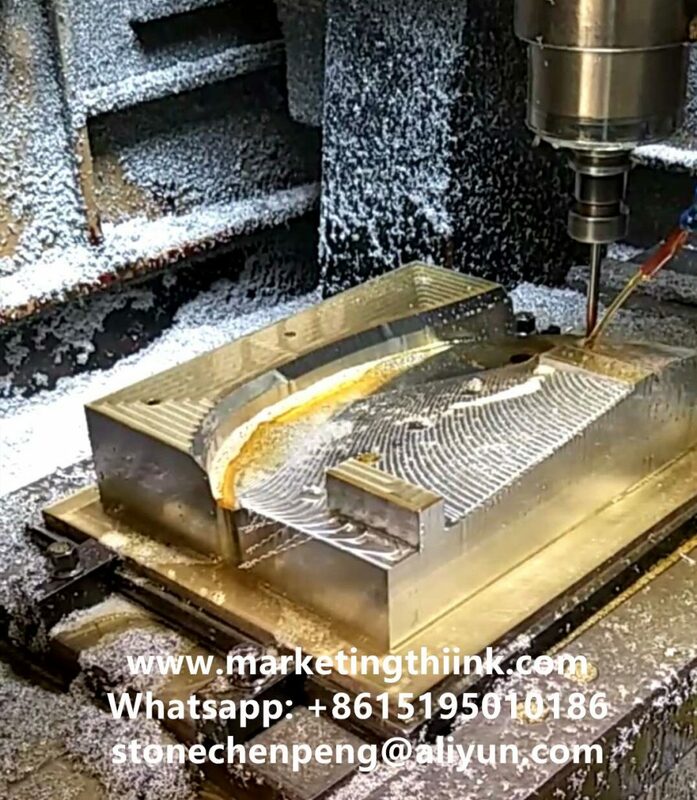 CNC milling is often referred to interchangeably as CNC machining, because both encompass a variety of operations that can be done within a CNC machining center.Equipped with vicious cutters, CNC milling is capable of producing almost any shape. Milling operations involve using multi-point rotary cutters to remove material from a work piece. Work piece materials ranges different from Plastic to Metals. 1.Face milling : it cuts flat surfaces into the work-piece and flat-bottomed cavities. The feed can be either horizontal or vertical. 2.Peripheral milling: Peripheral milling cuts deep slots, threads, and gear teeth. 1. Conventional milling involves feeding the work-piece against the cutter rotation. This is the recommended method for manual milling machines. 2. Climb milling, on the other hand, feeds the work-piece in the same direction as the cutter rotation. This is the preferred method for CNC milling. Milling is best applied as a secondary process to an already machined work-piece. It helps to define features and serves as a “finishing coat”. Use milling as a secondary process to add features such as holes, slots, pockets, and contours. KYLT has multiple tool-sets based on efficient cutters for Engineering- plastic or Ferrous / No-ferrous Metal material. The machine then rapidly mills parts out of the block in a subtraction manufacturing process that uses either 3 or 4 axis milling. At KYLT, CNC milling also encompasses drilling, reaming, threading, tapping, and other operations, as they can be completed in the same setup. Wide range of potential milling applications makes CNC machining the most variable service KYLT offers. Requirements of Milled parts Tolerance, Surface finish or treatment, Part size, use of Tooling or Jigs and material properties can all directly affect pricing. Providing a 3D CAD file can generally reduce time spent quoting or programming. Machined plastic parts show visible tool marks on surface. A suitable cut tools will improve the milled plastic parts surface. Metal parts allow more finishing choices. Polishing, Painting, Powder coating, Anodizing, Plating can be done on metal milled parts.